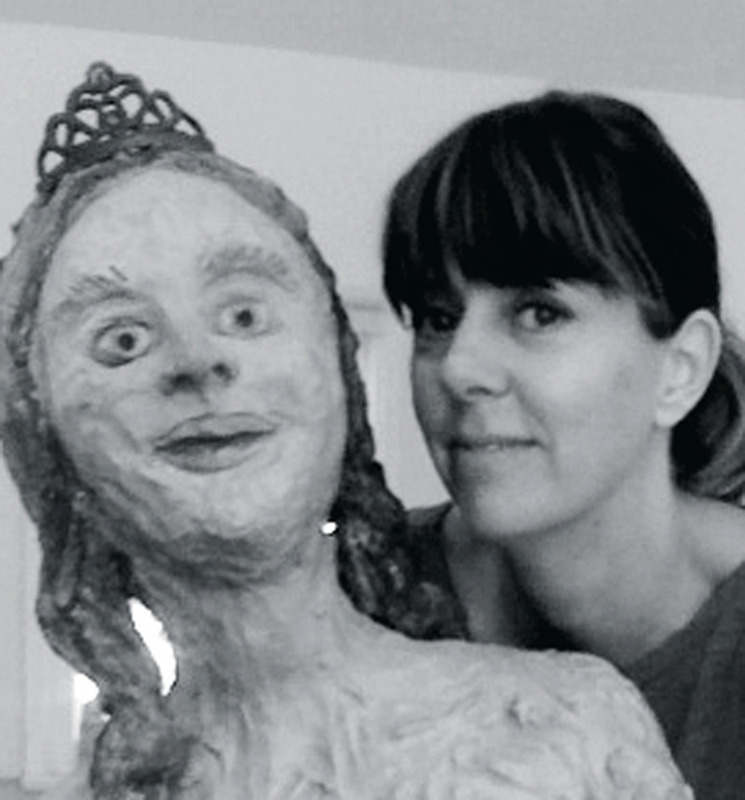 Liz Craft is a sculptor who lives and works in Los Angeles, where she co-runs the gallery Paradise Garage. This summer, her work was on view at Zurich’s Hacienda gallery (in a show with Lisa Anne Auerbach) and in Paris with Pentti Monkkonen at Pro Choice/Shanaynay gallery. Her work can be seen this fall in “Golden State,” a group show curated by Drew Heitzler at the Museum of Contemporary Art, Tucson. I had Simeon Wade as an instructor in 1990 when I was an undergrad at Otis. He was infamous for having taken Michel Foucault on a road trip in 1975 out to Death Valley, where he introduced the philosopher to LSD. Foucault counted his time with Wade as a pivotal point in his life. I consider my classes with Wade really important, too: He introduced me to French theory, Leigh Bowery, and the movies of John Waters and Kenneth Anger. I also happened to be taking psychedelic drugs around that time. It was a good combination. My mother used to take me to thrift stores as a child. I have very vivid memories of a badly lit, A-frame building with a red-painted changing room where I once saw a giant spider. Filled with everyday materials and objects, thrift stores are now places I go to get ideas, and Bible Tabernacle, set in a corner building off Lincoln Boulevard, has become one of my favorites. I was still in art school and at a low pointfeeling paralyzed by the pressure to explain every movewhen Kiki Smith came to give a talk. She discussed her work in the exact opposite way of how we were being taughtand she was honest, unpretentious, and ultracool. I also remember she had on silver sneakers. In 2000, my then-boyfriend (now husband) Pentti Monkkonen and I were invited to do a residency in Linz, thanks to Austrian curator Herbert Lachmayer. That spring, we spent three months at the OK Centrum für Gegenwartzkunst, followed by another month of traveling. This was the first time I had spent a significant amount of time outside the US. The restrictions of making art in a foreign place combined with the flood of new experiences led to an artistic breakthrough that inspired the next ten years of my work. 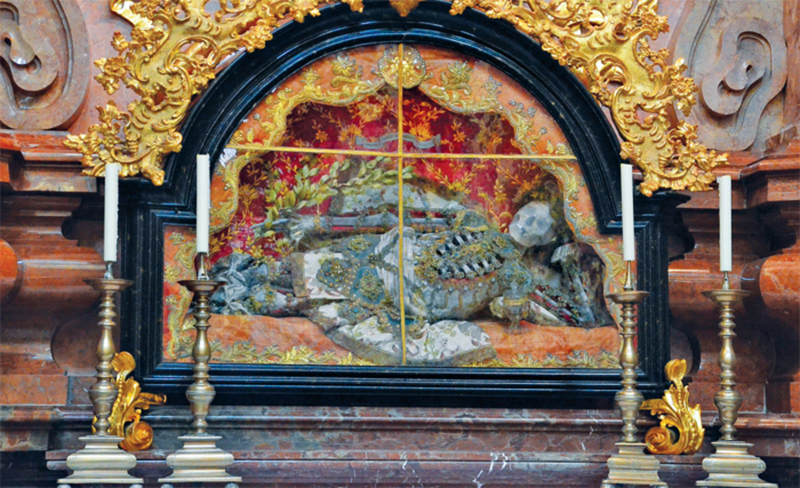 Skeleton, said to be that of St. Friedrich, Melk Abbey, Melk, Austria, 2012. Photo: Anu Winschalek/Flickr. Here, you can imagine you are in the future. Located belowground in Koreatownan area of LA that was once a glamorous shopping districtthe spa is accessed through a now-defunct, beautiful old department store. Today the building’s first floor is set up like a swap meet, with temporary kiosks selling cheap clothes. You walk through this to reach Natura Spa, taking the back left elevators if you’re a woman and the right ones if you’re a man. When you descend to the basement, the elevator opens into a marble-tiled room where ladies greet you with keys and robes and direct you down the hall to change. It’s as though you’ve traveled through some wormhole and are now in Korea. Beyond, there are hot and cold tubs, wet and dry saunas, and a sea of naked bodies getting rubbed and scrubbed by older women in black lingerie. The spa is one of the secret exotic pleasures of LA. Tall Paul Gellman, Danny McDonald (aka Mindy Vale), and Charles Irvin: The art world would be a really boring place without artist-shamans like these. Four stills from Charles Irvin’s Aphrodite’s ChildThe Four Horsemen, 1999, video, color, sound, 6 minutes 7 seconds. Good curating doesn’t just bring together interesting combinations of art; it also brings together artists. Last fall, Ballroom Marfa invited me to participate in a show called “Comic Future,” and as it happened, the majority of people included in the exhibition came out for the opening. For three days we hung out in this small Texas town. I liked everyone involved, but had a particularly good time with Sue Williams. The experience made me remember how much I like artists. These are the most comfortable shoes I’ve ever worn. They come from Canada and I’m not sure if they’re actually made by a real chief, but I like to imagine they are. It took me months of Internet searching to ﬁnd them. This set of seven images is a window into Polke’s mind. Jansen photographed the painter dragging home a massive snakeskin and then, as he wrapped himself in it, turning himself into a beautiful snake. It’s a rare occasion when you get to see the process of someone actually making art, especially if that person happens to be Sigmar Polke. 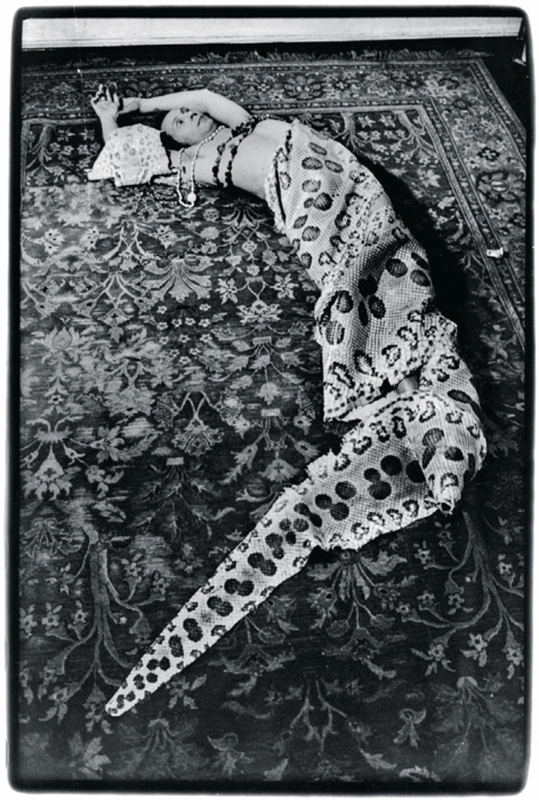 Bernd Jansen, Willich (Polke in Python Skin) (detail), 1973, one of seven gelatin silver prints, each 14 3/8 × 9 7/8".